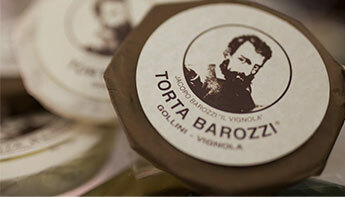 TORTA BAROZZI WAS BORN HERE, IN THE VERY HEART OF VIGNOLA. 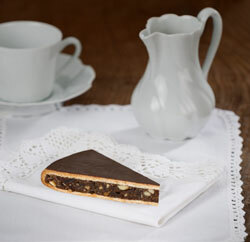 Counterpoints of almonds and peanuts in dark chocolate. The same unforgettable taste Eugenio Gollini felt when he realized to have found his perfect recipe. 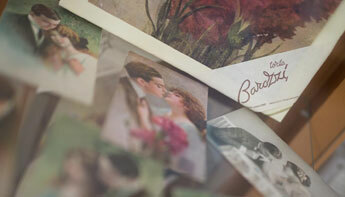 He didn’t still know that it would exceed one hundred years and go around the world…. 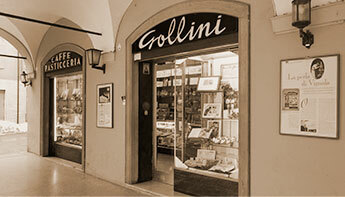 The Caffè-Pasticceria Gollini has been in the very heart of Vignola since 1886. 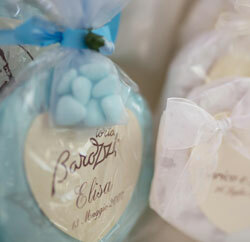 It opens under the porch of an ancient building in Via Garibaldi. 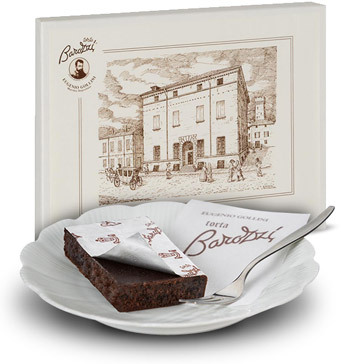 Torta Barozzi, created by Eugenio Gollini at the end of 1800, was known at the beginning as “torta nera”. 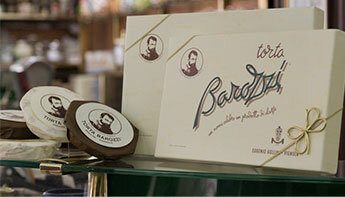 Where the renowned Torta Barozzi can be found and bought. 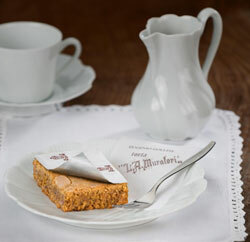 All the other specialities can be found only at Pasticceria Gollini. Home delivery. 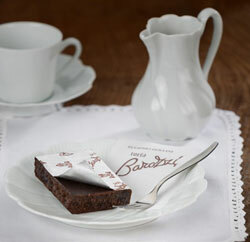 If you want to present a Torta Barozzi or buy it for yourself check immediately its availability. Subscribe to our Newsletter you will at the center of our attention.